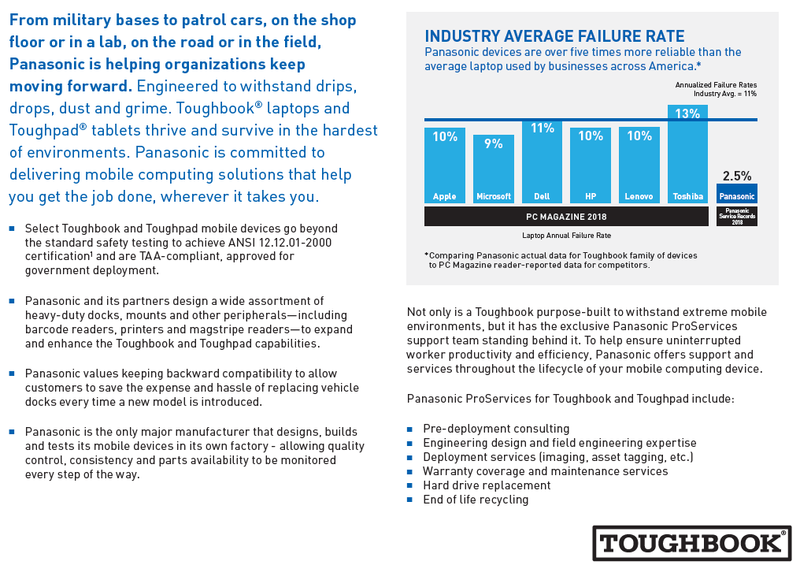 M Rugged Mobile Technology is a Panasonic Authorized Prime Reseller Partner dedicated exclusively to of the latest Panasonic Rugged TOUGHBOOK Laptop, Tablet and Handheld Computers. Whatever your working conditions, whatever your budget, there is a Panasonic TOUGHBOOK Moble Computer solution for you, ranging from the ultra-durability of our rugged CF-31 and CF-54 laptops, the 2 in 1 12" CF 33 and 10" TOUGHBOOK 20 to the Panasonic TOUGHBOOK FZ-G1 and FZ-M1 tablets and handhelds. The latest models are designed with magnesium alloy cases, high performance 7th Generation i5 and 17 Intel processors and 4G LTE Advanced cellular technologies and are even more capable of withstanding the rugged conditions you operate in. We believe our product knowledge, service and dedication to high quality support make the buying process with M Rugged Mobile Technology informative and enjoyable building a long-lasting relationship with our customers. 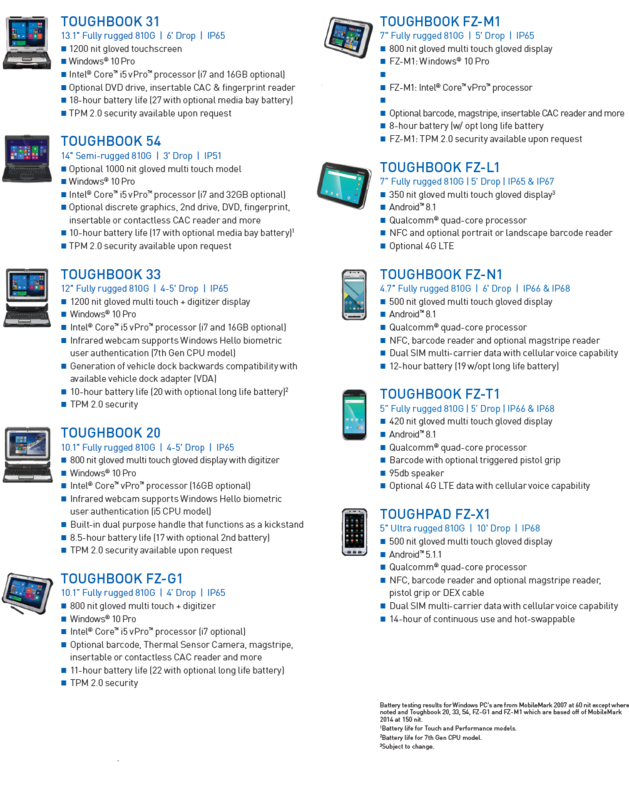 Call or email us today so that we can help you build a customized TOUGHBOOK solution that works for you.